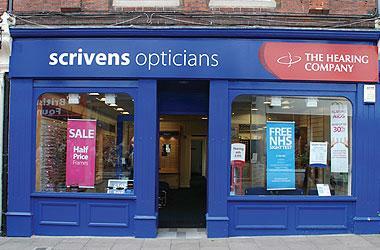 Scrivens Opticians has been, and still remains today, a family company built on solid foundations. Always adapting to change in the optical and hearing field, whilst still maintaining the highest standards of customer and staff care. The company’s long term goal has been to put the customer first, and to provide the finest customer care available - something they have been putting into practice for many years now. all your family's eyecare and hearing needs.